Big Joe Turner was a large man, with a large voice to match. Producer Ahmet Ertegun remarked that Turner was the only singer he ever worked with who didn’t need a microphone to be heard over a full band, including the horns. Over the course of his five decade career, he became known as The Boss Of The Blues, but he also helped to kickstart the rock ‘n’ roll revolution along the way. Turner began his musical journey in his hometown of Kansas City, singing blues and boogie-woogie in the seedy and sweaty bars and nightclubs around town. In the late 1930’s, looking for a bigger stage – and a recording contract – he moved to New York City and then Los Angeles. He recorded dozens of blues songs for labels in both cities and performed with a number of jazz artists, including Duke Ellington, Art Tatum, and Count Basie. 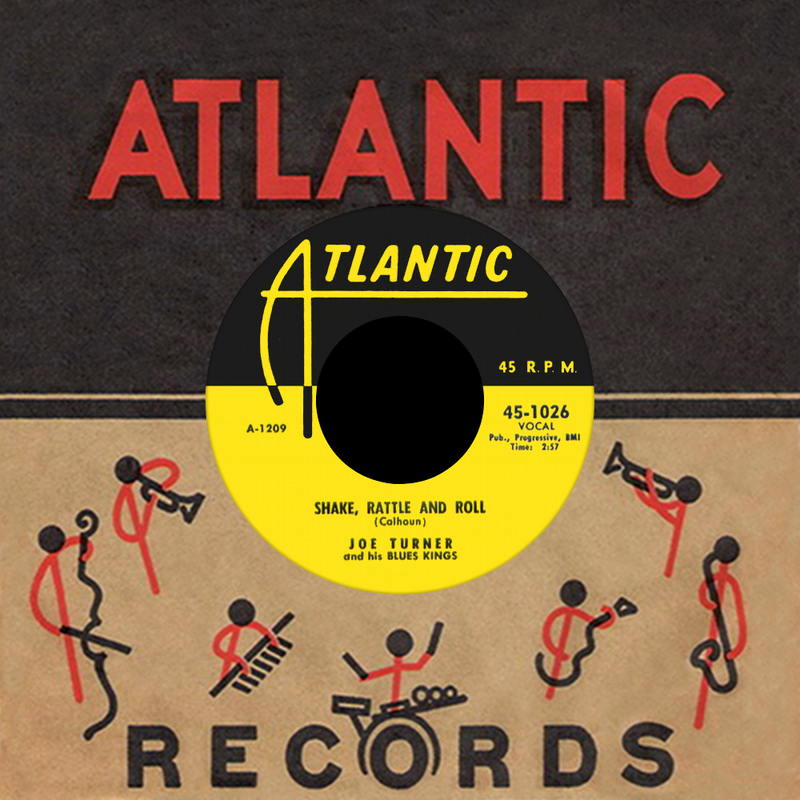 The swinging Big Band jazz combined with traditional blues led to the creation of jump blues, a forerunner of the rock ‘n’ roll sound, and that’s what Big Joe Turner was performing at Harlem’s Apollo Theater in 1951 when spotted by producer Ahmet Ertegun of Atlantic Records, who signed him immediately and rushed him into the studio. It proved a good combination. The new sound coming out of Atlantic was R&B and Turner fit right in, scoring his first million-seller straight out of the gate with “Chains Of Love.” Big Joe toured constantly and had a number of big hits on the R&B charts by the time 1954 rolled around, the year he entered a studio in New York to record what became his signature song. The phrase “Shake, Rattle And Roll” had appeared as a song title as early as 1910, referring to gambling with dice, but songwriter Jesse Stone turned it into something of a more explicit nature, having nothing to do with little numerical cubes. Turner sang the suggestive lyrics with his usual gusto (with backing vocals by Stone, producer Ertegun, and studio engineer Jerry Wexler) and it’s not surprising that many radio stations banned the song — the line about the “one-eyed cat” went over their heads, but the programmers decided Joe’s eyes rolling back and gritting his teeth was a bit too suggestive. Despite the ban, the single went to #1 on the R&B charts, because a great song won’t be denied. But first, get out of that bed and save your doggone soul … with Big Joe Turner. The same week that Turner’s “Shake, Rattle And Roll” topped the charts, Bill Haley and His Comets cut their own rollicking version. Unlike most white artists who covered material by black artists, Haley didn’t try to replicate the original arrangement down to every last exacting detail, instead choosing to remove the rolling piano and emphasizing the driving slap bass and the horn section, basically rockin’ it up a bit. He also gets to the chorus after one verse instead of three, because the chorus is where the money is, baby. While musically exciting, Haley’s vocal could never match Turner’s sly, slurred, and enthusiastic delivery. Who could? He was also forced to clean up the lyrics to make it more palatable for the delicate ears of the radio audience, although in later years performed a mix of both versions. 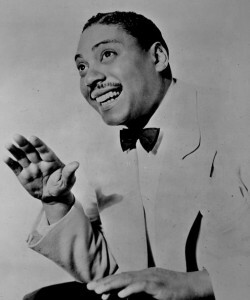 Haley’s “Shake, Rattle And Roll” was a Top 10 hit in late 1954, but he always made sure to credit Big Joe Turner. The two men became good friends, touring together in later years, and Haley and his band backed Turner during recording sessions in the 1960’s.